SENOIA, GA—The Southern All Star Dirt Racing Series returned to the Senoia Raceway in Senoia, GA., Saturday night for the Michael Head Jr Memorial and a familiar name with the Southern All Stars Series as well as the fans was in victory lane for the first time since a 2009 and that was 4 time Southern All Star Champion Clint Smith of Senoia, GA., who battled with series points leader Austin Horton of Newnan, GA., to get his first series since his last win at the Cleveland Speedway. Smith took the lead once but a caution flew before the lap was completed and had to go back to second but a few laps later Smith worked his by Horton to capture his 13th series. 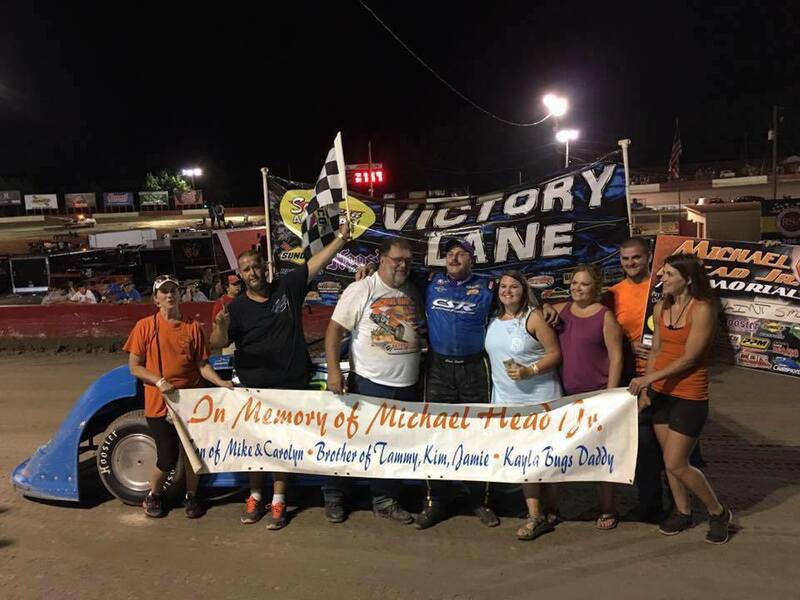 Smith was elated in victory lane about the win and was honored to win the race that was dedicated to the son of one of his biggest rivals on the series Mike Head who won the series championship in 1991. Horton padded his series points lead a few more markers as he came home in the second spot, third went to Cody King in his best run with the series, fourth to another two time Southern All Star Champion Ivedent Lloyd and Tristan Sealy fifth. Finishing in the sixth spot was Eric Hickerson, seventh to Riley Hickman from his 7th starting spot, 8th to Michael Page, ninth went to Landon Bagby of Lithia Springs, GA., in first run with the series this year and in tenth was Dillon Tidmore from his 24th starting spot. 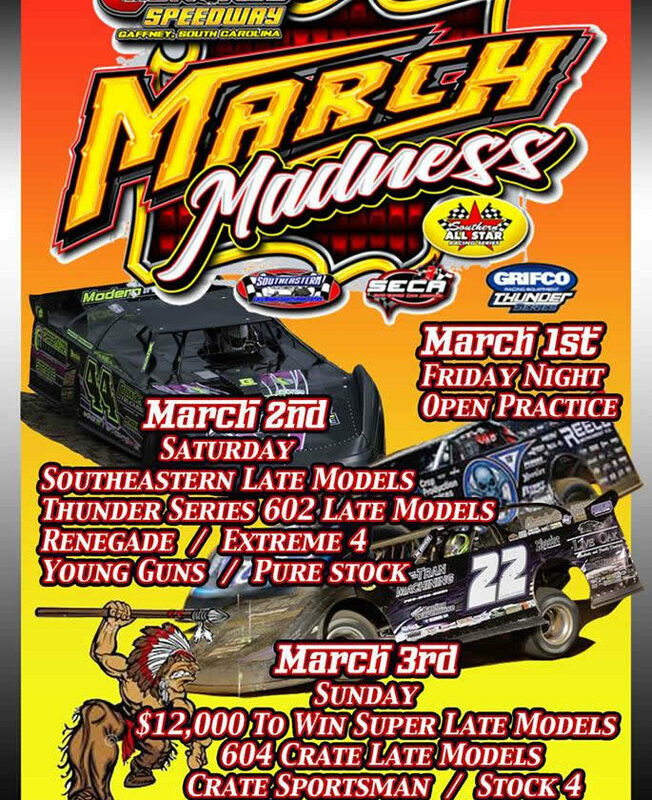 RACE TIDBITS: Michael Page won the $154 from Wood Motorsports for fast qualifier as well as the Dash for Cash of $250 from Five Star Hyundai of Warner Robbins, GA., Three former Southern All Star Champions were in the show Smith, Lloyd and Hickman, 8 of the top 10 in points were at Senoia. 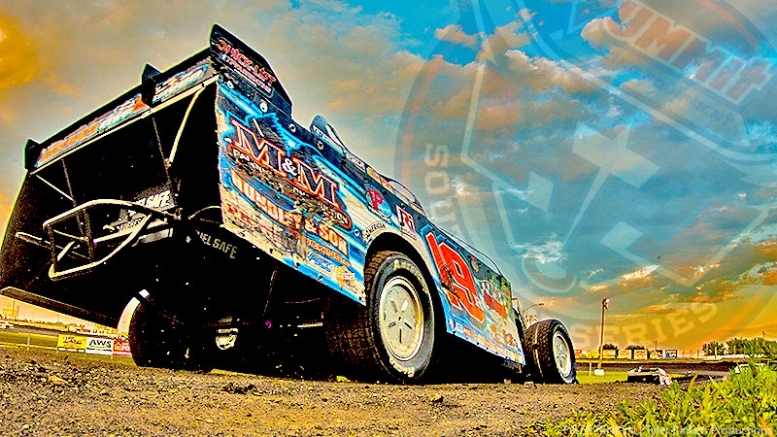 Horton increased his point lead over Reaid, 2016 Cruise with the Champions/Dirtondirt.com Rookie of the Year Brad Skinner moved into he top five in series standings. The top four in series our in series points are only separated by 140 points going into this week’s race at Thunderhill. Drivers making their first starts with the series in 2017 included Cody King, Landon Bagby, Bubba Pollard asphalt veteran making his first series start on dirt, Ashton Winger, Shane Fulcher, Tod Darda, Dalton Cook, Kitt Sealy. Over 9 inches of rain fell on the speedway the past week and track conditions that led to the unusually rough track conditions at Senoia. 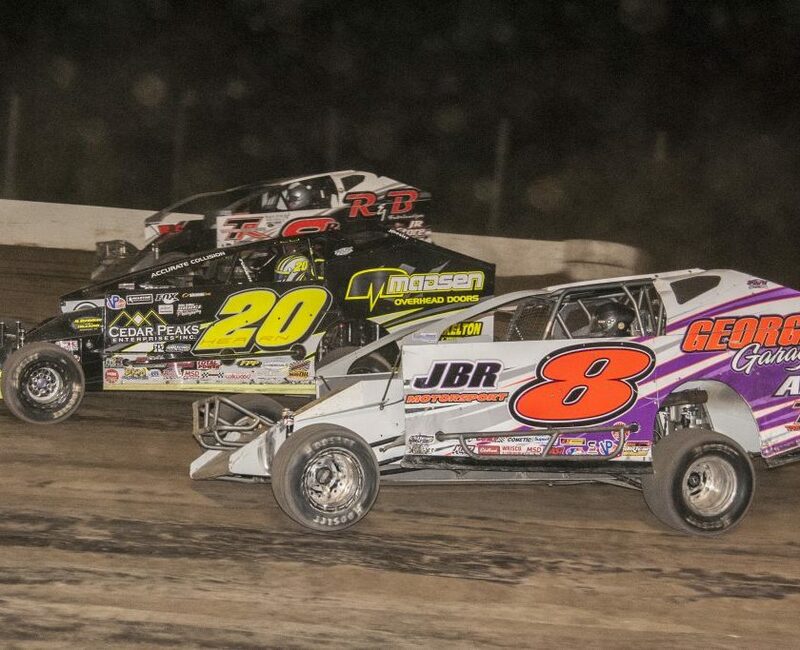 The next Southern All Stars event will be on Saturday night July 8th at the Thunderhill Raceway in Lawrenceburg, TN., a 40 lap $4,000 to win event.